If you are like me, you probably want to spend your available work time on what generates income and what you do best, i.e. translating. You might also dislike “selling” or marketing. However, if we do not spend any time marketing our services, we easily become victims of the infamous feast and famine cycle. In order to create a steady income, and to find the jobs and clients that you enjoy working for, and that pay you well, you need to market your translation services regularly. This is most easily done with a marketing plan. I have an educational and professional background in marketing and find that it has benefited my freelance career immensely. 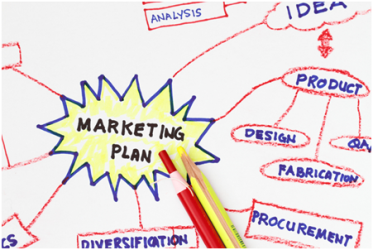 Marketing planning does not have to be time consuming or hard. 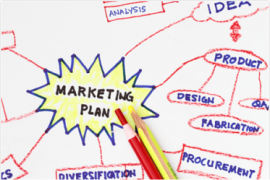 Here is a quick-start guide for planning the marketing of your translation services. Take an hour or so to answer the following questions. In the end you will have an easy to follow plan for your business development. It can even fit on one page that you can print out and post near your computer. Then it is easy to see what marketing tasks you should do that week or month and you will have more time and peace of mind to focus on your craft, i.e. your translation work. This is a definition of your business, including what services you will offer, who your competitors are, and how you can differentiate yourself from them. Our freelance translation business has to be profitable for us to be able to continue working with our craft and be happy translators. Figure out your costs and how much you need to make to pay your bills and have money to live. Based on this you can determine your minimum income and your desired income. Based on these answers, what is your desired hourly, weekly, monthly, annual income? CalPro (link to the US version but there is also a European version). By now you hopefully know what services you can offer your potential clients, how your services can help them and how you are different from others offering the same translation services. You know how much you want to earn and now you can create a plan for how to achieve this. What marketing methods will you use? That’s it! Based on these answers you can make a calendar with activities to do every week and month. Follow up regularly to see what is working and what you need to change. After a year it will be fun to look back at your income and your clients 12 months earlier and compare to what your current situation looks like. Whether you are new to the freelance translation business, or need to give your business a boost, you can set aside an hour today to start planning for future success. There are several templates available online and I have also created a one-page marketing plan template for freelance translators. Visit www.marketingtipsfortranslators.com for more information, or to sign up for the monthly newsletter and get the one-page marketing plan plus other marketing checklists for your freelance translation career. Tess Whitty is an English-Swedish translator and owner of Swedish Translation Services, which provides English-Swedish-English translation, proofreading and editing services. Aside from her regular translation work, she serves as language chair and grader for the English-Swedish certification program, and chair for the Chapter/affiliate group committee for the American Translators Association. She holds training seminars and presentations on translation and marketing skills for translators and has launched the Marketing Tips for Translators podcast and blog. For more information, and to connect, go to www.swedishtranslationservices.com or www.marketingtipsfortranslators.com.